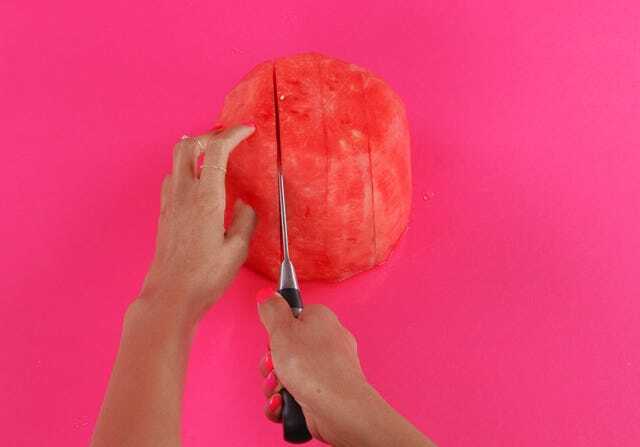 Learn how to slice a watermelon the right way with this easy tutorial. There's an easier way to eat fresh watermelon than buying expensive containers of mushy pre-cut chunks or just smashing one open on your driveway. This 10-pound orb can seem unwieldy, but with a few well-placed slices you can have even cubes with little effort. Pick your sharpest chef's knife or serrated knife, and get ready to savor summer's last melony goodness. Stay tuned for the next chopping tutorial: the mighty mango. And, conquer pineapple cutting, here. Step 2: First remove the top and bottom of the watermelon with a large chef's or serrated knife. For more ways to cut a watermelon, check out our favorite watermelon hacks! 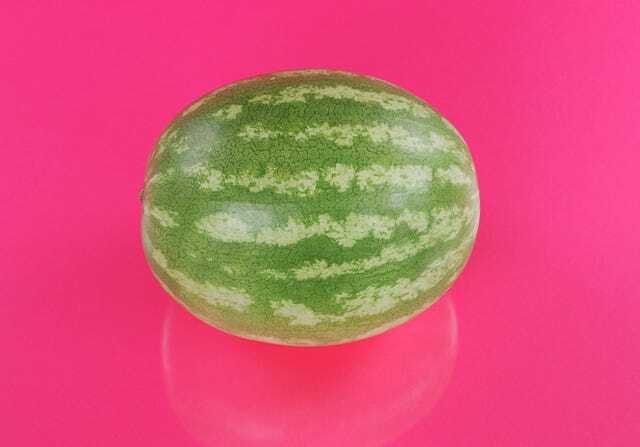 And be sure to visit our roundup on the top ten melon essentials for summer.